In the era of Cold War the Western information space was full of numerous fantastic stories about Soviet submarines. Having taken shape in books and websites, those tales still keep Americans and Europeans on the trot. RusNavy.com tries to demolish the foremost fables of Western "folklore" of 1950-80's. 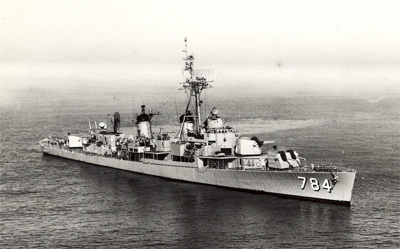 If one had a chance to drop into one of Sasebo pubs (which were habitual "harbors" of American sailors from Task Force 77, 7th Fleet) at the turn of 1950 in the height of Christmas time, he'd definitely hear a story about destroyer DD-784 McKean headed by Cmdr Weatherwax which scuppered a Soviet submarine. There were few guys skeptical about veracity of the story and the state affiliation of wrecked sub, because reports of unidentified submarines were on-air since the very fist days of Korean War. All ship commanders were authorized to use any weapons in case of unknown submarine appeared in close proximity. On December 18 destroyer McKean (otherwise known as Mighty Mac) sailed off Japanese port Sasebo under call sign Rancher. About an hour after passing antisubmarine barrier, sonarman reported of a contact with submarine target. Commander came to the bridge and immediately issued battle alarm. Gongs were still audible when Cmdr Weatherwax ordered to get ready for bombing. Quartermaster John Pipes made an entry in logbook that the ship was carrying out antisubmarine bomb attack, but commander told him to take out the word "submarine" bewaring of international incident. Through sonar dynamic speaker placed in the bridge, the staff of commanding officer's battle station could track behavior of echo signals and calculate target motion parameters. According to their appraisals, speed of the sub sailing at a depth of 75 meters was 5 knots. Three times the Americans sent their ICS recognition signal without any response. Moreover, there turned to be two submarine targets on the sonar screen. McKean dropped series of depth charges and made a fire by bomb launcher. A recon aircraft observing the zone reported about submarine's outline profile disappeared after explosion of depth charges. Later on, the aircrew spotted air bubbles and oil spills in the incident site. Crew of McKean and personnel of destroyer USS Frank Knox (DDR-742) also noticed that stain. Submarine's profile appeared again and the ship dropped another depth-charge pattern. Afterwards Frank Knox sailing the stern tack Mighty Mac also dropped bombs. That day USS McKean released 54 depth charges. In the evening, having completed the fifth attack and used up battle reserve, Mighty Mac headed for Sasebo to replenish it. 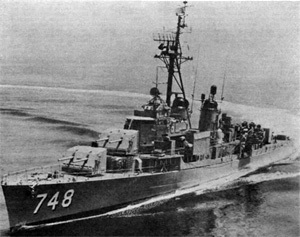 Minesweeper USS Endicott (DMS-35) remained in the zone and also dropped series of depth charges; destroyer USS Taussig (DD-746) was dispatched there as well. Few hours later McKean returned with extra load of depth bombs apart from standard battle reserve. Having carried out three additional attacks in the morning of December 19, commanding officer of the destroyer concluded that the sub had lied on the seabed. Pilot of ASW aircraft patrolling operational area reported of torpedo's trace near McKean's aft. Allegedly, the torpedo was launched by the second submarine. However, nobody on the ship saw the trace. There were rumors among mariners of 7th Fleet that on December 20 salvage ship ASR-10 Greenlet was dispatched to the assumed shipwreck site of the Soviet submarine. Assertedly, the ship managed to get codebooks of the sunken sub and even a couple of new binoculars. It was said that the crew of McKean had to sign a non-disclosure recognizance and the sailors had been keeping their mouths shut right up to 1998 when S. Sontag and K. Drew published their "The Untold Story of American Submarine Espionage" which mentioned that events. However, having checked declassified military archives, we found out that Pacific Fleet had in service only 10 deployable submarines of pre-war projects at that time. To exclude potential provocations, Pacific Fleet command took all possible measures (even cancelled exercises in regions controlled by US naval task force). The fate of all those PF subs including C-121 and C-123 handed over to China in 1951 is no longer a secret. The American writers refer to other two similar incidents with presumable participation of Soviet subs. For instance, former sonarman of destroyer USS Renshaw (DD-499) said that English-American task unit consisting of aircraft carriers Sicily and Glory being supported by six destroyers had detected and scuppered a Soviet submarine after 28 hours of pursuing in the Yellow Sea. As for the veteran, that happened on July 29, 1951. Another veteran of Korean War J. Alexander in his book "Inchon to Wonsan: From the Deck of a Destroyer in the Korean War" discloses allegedly reliable fact that in December 1952 a Soviet sub was scuppered by USS Hubbard where the author used to serve. Really, in the period of December 14-16, 1952 Soviet Navy lost Whiskey class submarine S-117 sailing from Sovetskaya Gavan to the port of Kholmsk. Detailed description of all circumstances of lost Schuka including State Commission's summaries can be found in "The Mystery of Lost Submarine" by V. Shigin. Although real cause of the sub's wreck is still unclear, the version that S-117 headed for Tatarskiy Strait to attend a tactical drill could show up in the conflict zone is untenable. The submarine had been prepared for the scheduled torpedo firing drill but by no means for conducting warfare, since the latter implies not only completion of combat training course but at least loading of wartime ammo reserve. Much less could S-117 lay on the seabed due to navigation error; in this case the sub must have set the opposite course and sail about 500 miles without attempts to define her location. Finally, if the crew wanted to run off to Japan, there would be no point to sail to the Yellow Sea. In mid-50's there was a next peak of political standoff between the two systems: anti-Soviet protests in Hungary and Poland, Suez crisis of 1956, Syrian events of 1957… As is known, US military leaders developed several scenarios of aggression against the Soviet Union much earlier, in 1946-1948; in 1949 they had a contingency plan named Operation Dropshot implying extermination of USSR. Only at initial stage of the war over 300 kt nuclear and 250 kt conventional bombs were supposed to be dropped on our country to wipe out up to 85% of Soviet industry. Readiness date was provisionally set on January 1, 1957. The West supersensitively perceived reports that the Soviets had successfully implemented development program of new submarines and started to deliver those subs to the Third World countries. In July 1956 Suez crisis combusted with French, British and US navies involved; at once appeared "trustworthy" reports of Soviet submarines deployed and even surfaced in the conflict zone. Those reports seemed to be a NATO's attempt to stimulate other allies by fomenting politico-military tension already heated by news of Egyptian navy's warships bought from the USSR. By the early 1956 Egypt was about to receive two Project 30-bis destroyers Smelyi and Skoryi, four Project 254 minesweepers, ten PT boats, two Project 613 and one XV-series submarines. In December 1955 the subs were transferred to Gdynia for training Egyptian crews. And no later than August 1956 there was a report [refuted later] in NATO comm links that 3 Soviet subs had left the Baltic Sea heading for the Atlantic. Afterwards, US Navy representatives in Paris and London informed allies about 4 Soviet submarines detected along with supply vessel, and also about possible presence of a Soviet sub near Sardinia Island in the very heart of the Mediterranean; the sub was allegedly spotted by patrol aircraft. Naval commands of France and the UK were skeptical about fidelity of information given by the Americans, although could not ignore such data. Fear of Soviet submarines impelled Allies to dispatch their Fantoms almost everywhere. At the very beginning of the conflict a story told by Yemeni fisherman about mysterious submarine near Sheikh-Said in the Red Sea was treated like nonsense; in October 11-12, 1956 similar report of an officer was taken by Lt. Cmdr. Labrousse, French Somalia Naval Force Commander in all seriousness. "Red submarines" in the Red Sea diverted a good portion of French forces deployed in the region. As a matter of fact, the only Soviet submarines appeared in the Mediterranean were two Polish-flagged Project 613 subs left Gdynia in October 1956. They were supposed to be handed over to Egypt, sailed up-top through Denmark straits and reached Gibraltar. However, upon receiving information that combat actions had been ceased the subs returned back to Poland. This time NATO observers noticed that event authentically. In 1968 four submarines wrecked worldwide: Israeli Dakar (Jan 15), French Minerve (Jan 27), Soviet K-129 (March 8), and USS Scorpion (May 27). Accident with French sub sunken during naval drills off Toulon was the only shipwreck which did not generate wild guesses. The version that Dakar was scuppered by Soviet ASW ships in the area of joint naval exercise of Soviet 5th Squadron and Egyptian warships was disproved in 1999; the wrecked sub was found on the seabed between Cyprus and Crete with evident signs of technical breakdown. However, it is still suggested that Soviet submariners were involved in shipwreck of US nuclear sub Scorpion allegedly torpedoed in revenge for scuppering Soviet K-129 by USS Swordfish. Not once I had a chance to discuss this matter with veterans of Northern Fleet 1st Submarine Flotilla, as well as with such competent submariners as Admiral of the Fleet G.M. Egorov and Admiral V.N. Ponikarovsky who are familiar with operational planning documents and submarine commanders' reports of that period. With one accord they reject the version of possible face-off between Soviet and American subs. It should be pointed out that the fact of torpedo use would have been plain not only for the crew and the fleet command but for a great many people involved in the sub maintenance and patrol records review. So, suggestion that hundreds of people privy to such secret and no longer tied by nondisclosure obligations have been keeping their mouths shut for 40 years looks absolutely unpersuasive. One can only regret that Russian government and the Navy command have not issued an official denial of this version so far. Such behavior implies a sort of secret agreement between Russia and the U.S. as for confidentiality of information related to wrecked K-129 and USS Scorpion. By the way, as it was said by US spokesman at 6th plenary session of U.S.-Russia Joint Commission on POW/MIAs (USRJC POW/MIAs) held in 1993, there were no US submarines within a radius of 300 miles when K-129 laid on the seabed. Nevertheless, CIA's Operation Jennifer intended to salvage K-129 in 1974 is still partially classified continuing to generate various rumors. In his "Red Star Rogue" Kenneth Sewell proposes incredible version of K-129 wreck. 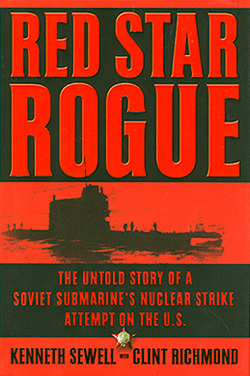 K-129 was shipwrecked during prelaunch detonation of ballistic missile aimed at Pearl Harbor, assures Kenneth Sewell, former submariner and the author of "Red Star Rogue". As for him, K-129 was performing anything but standard patrol; she was supposed to pretend a Chinese Project 629 sub and deliver nuclear missile strike upon the main US naval base in the Pacific. Such attack would definitely unleash a war between China and the U.S. How could the Americans be convinced of Chinese origin of the strike? It would be judged by the surface launch about 400 miles away from the target; that was typical for Chinese Project 629 subs. By that time K-129 had undergone modernization under Project 629A and was capable to perform submerged launches on distance up to 1,400 km. Besides, according to US intelligence, nuclear warheads of Soviet missiles R-21 were armed with plutonium derived from Chinese uranium ore. It is extremely hard to imagine that presence of Chinese plutonium in the warhead and surface launch in close proximity to the target could be a persuasive cover story for such tremendous provocation. Not to speak about the quite an array of signs indicative of pre-combat mobilization measures; those signs are well known for all intelligence officers, so it's impossible to prepare for hostility secretly. We should keep in mind another fact. In 1968 the U.S. had several intelligence satellites at disposal; one of them detected K-129 sailing off. In his letter to me, Kenneth Sewell underlined that he had been consulted by top-level officials from US intelligence who wished to remain anonymous; they shared important off-the-record classified information with him… What a weighty argument! For all that, the most known spoof is invasion of Soviet submarines into Swedish territorial waters. Submarine S-363 took the ground in October 1981 near main Swedish naval base Karlskruna due to navigational error. That event became a catalyst for hysteria and diplomatic scandals lasted for over 25 years. According to statements of Western military experts, Soviet submarines were firstly detected in Swedish territorial waters as early as 50's; since mid-70's they had been showing up there systematically. The most striking was "chronicle" of 1982 which culmination happened near Stockholm archipelago. On October 6 there was a message received from there about unidentified submarine, presumably Soviet one. Somewhat 40 surface ships and 10 helicopters were involved in the operation, and dozens of depth charges were dropped then. However, the mysterious submarine shook off pursuit! In that period the Swedes managed to contact with another unknown submarine which also smoothly left Swedish territorial waters. Soviet ASW aircraft Il-38 appeared near Swedish sea border on October 10 was immediately interpreted as an attempt to contact the jammed up compatriots. Next day bottom-based magnetic intrusion detectors located unidentified submarine near Harshfjarden and detonated a 600-kg mine. On October 12 an explosion thundered again, near Horse Bay this time… A bit later submarine detectors located an unknown sub leaving Swedish waters near Malsten. Records of her noises had been an illustrative evidence of "Soviet invasion" through many years. 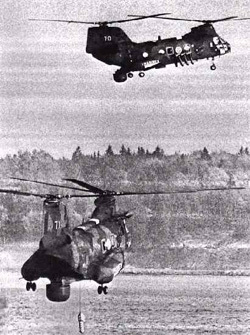 During subsequent "hunting season" in Feb-March 1984 when almost all available Swedish ASW forces were engaged, Soviet foreign ministry asked the Swedish counterparts why Sweden bound use of military force against what it considered submarines. 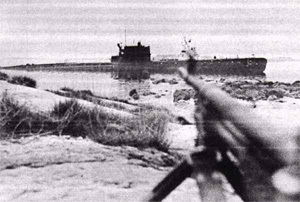 Afterwards, the Soviet party even offered assistance of several ASW aircrafts; of course, the offer was repelled. At least five official boards tried to find out the true inwardness of abovementioned violations of Swedish territorial waters. The first board was headed by ambitious rightist Carl Bildt in 1982, the last one was conducted by reputed diplomat Rolf Ekeus in 2001. In the course of inquiry the number of proven incidents with unidentified submarines had been gradually decreasing. In the reign of Americanist Carl Bildt who had shifted Prime Minister Olof Palme, there were 6,367 references mentioned in official reports about submarines and raiders detected since 1981 till 1994, apart from tracks on the sea bottom made by mysterious caterpillar-based submersibles. Summary of last commission contained only 10 proved cases of violation of Swedish sea border by unknown underwater objects. Only strange bottom tracks and several tape records of obscure noises remained as evidentiary material. As for record of 1982, a special board of Swedish defense research institute reported on May 19, 2008 that the "trouble-maker" appeared to be Swedish training sailer Amalia; skipper affirmed that the ship was really sailing at the search zone with newsmen on board wishing to see ASW operation with own eyes. As long as defenders of "Soviet" version have only "marks on the sand" under their belt, they have to seek new arguments. Swedish admiral Bengt Gustavsson writes in his work that Russians possessed the tremendous arsenal of submarine warfare assets including personnel carriers Sirena, Protei, Triton and various caterpillar-based submersibles designed for search of sunken objects. The admiral made no references to some facts; sea endurance of the most advanced vehicles does not exceed 6 hours, and caterpillar-based submersibles are controlled by a special surface ship. Instead, the author mentions opinion of retired Soviet naval officers, for example, a ship's doctor; and obscurely comments Soviet doctrine of early 50's, revealing its aggressive background and insolent attitude towards Sweden's neutralism. Such reasoning full of technical discrepancies, fictional inductive inferences, and agiotage around unchecked or unproved things seems irrelevant to current political environment. However, as it seen from examples given above, mythology of cold war still remains an effective ideological tool and popular method of public conscience impact.